If you are here, you must love winter holidays decorating! Regardless where exactly do you live in the world and if you actually have a white winter, how can you not love the festive season? :) Everyone is in the festive mood (yes already!!) and it literally looks like the world is brighter inside every city, every house, every condo. As I have received many, many emails from you regarding decorating small condo spaces for holidays, I thought I’d give you some ideas. Small space? Don’t panic! Christmas trees come in various shapes and sizes, but it is not always about having a big tree in your home to feel like your space is decorated for the holidays. 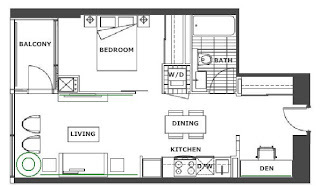 For small spaces like this 590sq.ft condo you have to think about what would you like to see when you enter the space. That first look is more important than you think! In this particular case, the Den wall which is the first large wall surface that jumps at you when you open the door is a great opportunity for your holiday decor. If you think of wall decor elements, you will not miss the space to actually fit in a Christmas tree or some large decor elements. Look at the green lines in the floor plan from above, these are the best areas to focus on when decorating for holidays. 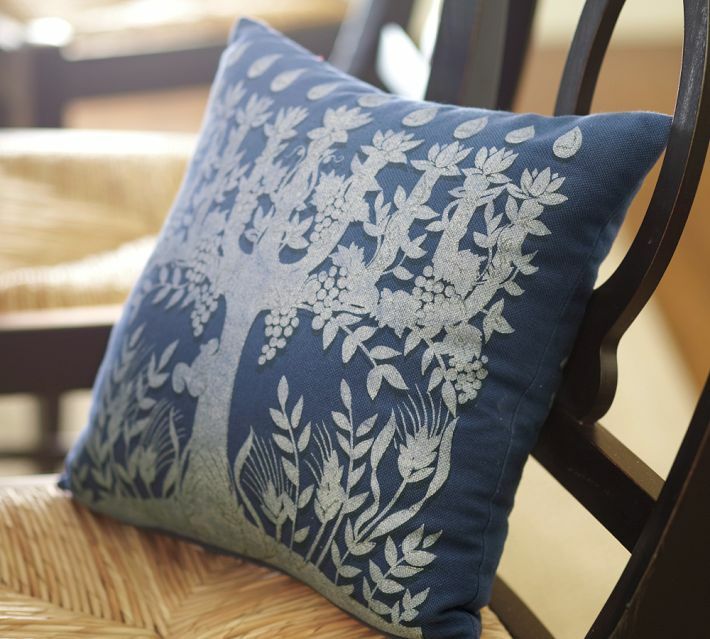 Try and figure out your best walls for decor in your home. Consider the long walls as the best spot for creating a Holiday feature. Many condos have the dining/living wall as the largest wall in the open space. 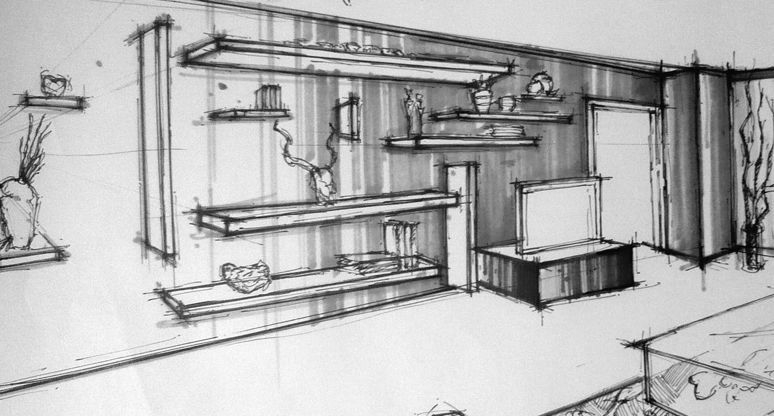 What a great place for shelving placed either horizontally or vertically or both! 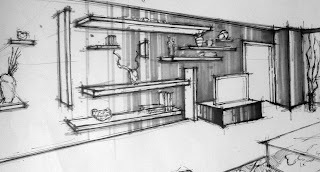 these shelves work as a wall feature year round and...where else would you put your best decor items like candles, garlands, vases with evergreen branches etc. It works like a charm. And if you have place for a tall but narrow tree in front of the window even better! If not, an oversized vase/planter with a tall arrangement of a mix of branches in your favorite colors/textures) works really great and catches your eye once you’re in that space. 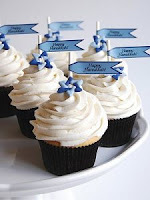 Let’s start with Hanukkah, the first holiday coming up. 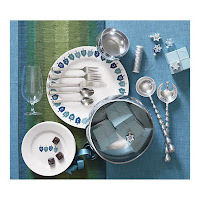 What I love about it is that silver and blue colors are predominant in the decor accessories for Hanukkah. All tones of blue are a great addition to a space designed in neutral colors, regardless the majority of the tones are warm or cool. 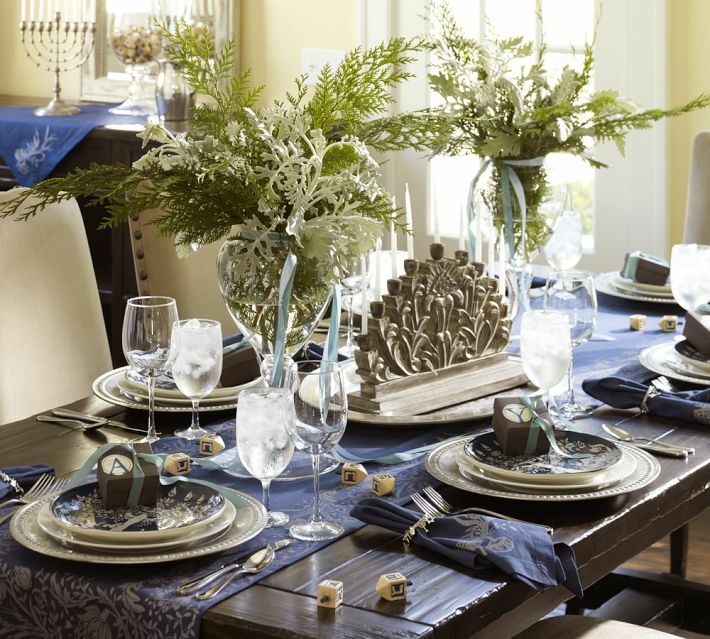 If your space has more of a transitional or traditional feel, these wood carved menorah and napkins from Pottery Barn would help you create a great festive table. 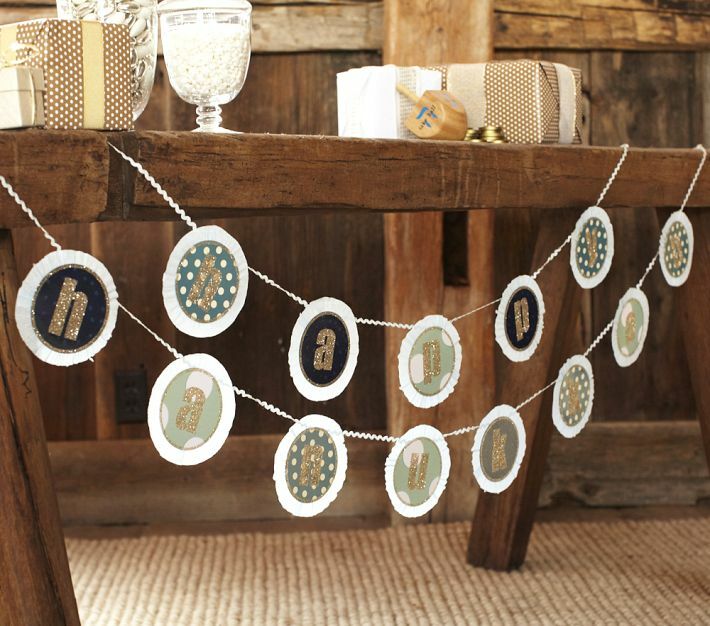 Also Pottery Barn kids has some great garlands which can be used as a wall decor element or for a console table. 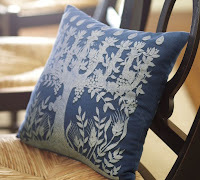 I also found these great throw pillows matching the color tones of the table napkins, great if you have a small space where it is easier to decorate using similar colors and patterns. If you have a dining table made of reclaimed wood, the wood carved menorahs work perfectly! 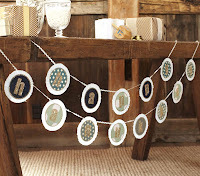 while the silver metal menorahs are interesting for they have a vintage look that looks great in an eclectic design. Westelm has also a great selection of accessories for Hanukkah! 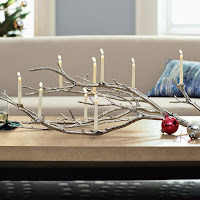 I Personally, I love, love, love to create a more contemporary look with these great serving plates or the Manzanita candelabra . 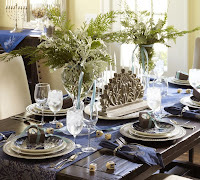 Crate and Barrel has very interestingly decorated plates, napkins, cutlery, small gifts for setting the table, all created with the design intent of having a well coordinated interior. 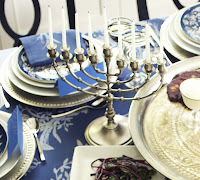 Hanukkah decorations are all about the details and how well you balance the blue tones throughout your place. 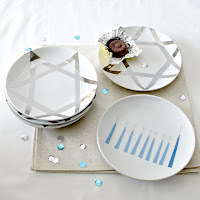 I find that Hanukkah colors revolve around color combinations with a cool hue, from green to acqua to 'baby' blue OR from blue to indigo blue and navy. These are two different color combinations, both work amazingly well with silver and of course lots of lighting decorations. 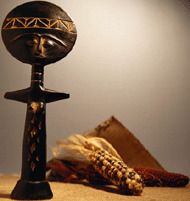 Kwanzaa is a 7 day festival celebrating the African American people, their culture and their history. It is a time of celebration, community gathering, and reflection. A time of endings and beginnings. Kwanzaa begins on December 26th and continues until New Years Day, January 1st. The foundation of Kwanzaa are the Seven Principles, or Nguzo Saba: unity, Self-Determination, Collective work and responsibility, Collective economics, Purpose, Creativity, Faith. You can decorate your home in the Kwanzaa traditional colors that are black, red and green – black for the people, red for their struggle and green for their hope in the future. 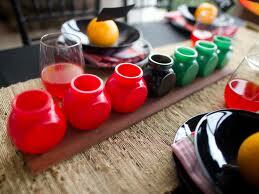 These mini vases work great for any dining table or console table arrangement. 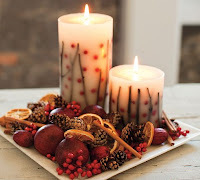 Mix them with candles and decorative dried fruits while you keep the background fairly simple (a neutral color table cloth or light wood furniture. 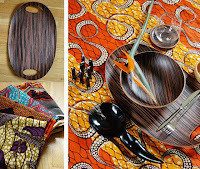 Another way of decorating using these vibrant colors is by using an intricate pattern for your main surface and wood plates and glass coasters. 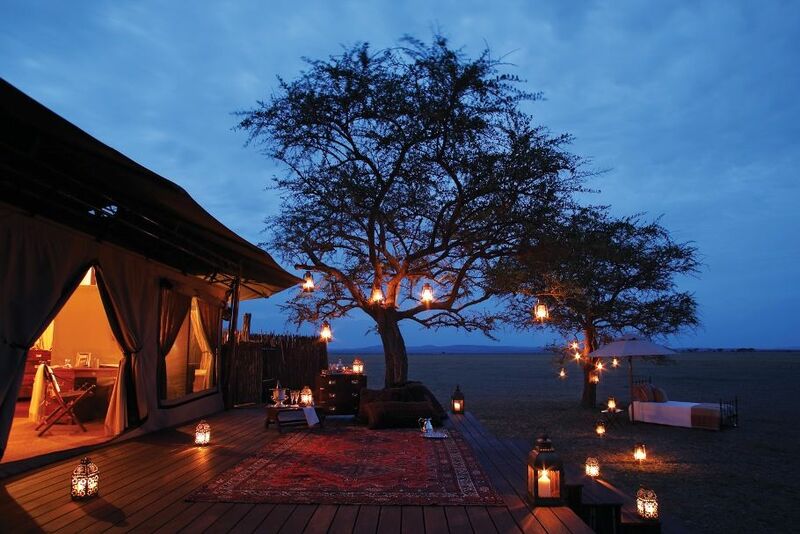 Lit lanterns can literally do wonders in a space decorated with rich woods and colourful patterns. Think of placing the lanterns around your house or condo so that each corner receives layers of light and each color is perceived as more intense and becomes an eye catching feature. Keep the focus on comfort, but never compromise on style. A celebratory, festive look can easily be created by adding individual touches to an otherwise neutral and clean colour palette. Stay tuned...Christmas decor ideas for condos coming up. Wow! These are so creative and look fantastic. Great job!